The Countess of Wessex has been announced as Thames Valley Air Ambulance’s Royal Patron, a life-saving charity that delivers advanced medical care across the region. The Countess’s appointment as Patron reflects Her Royal Highness’s long-standing involvement with the Thames Valley Air Ambulance. 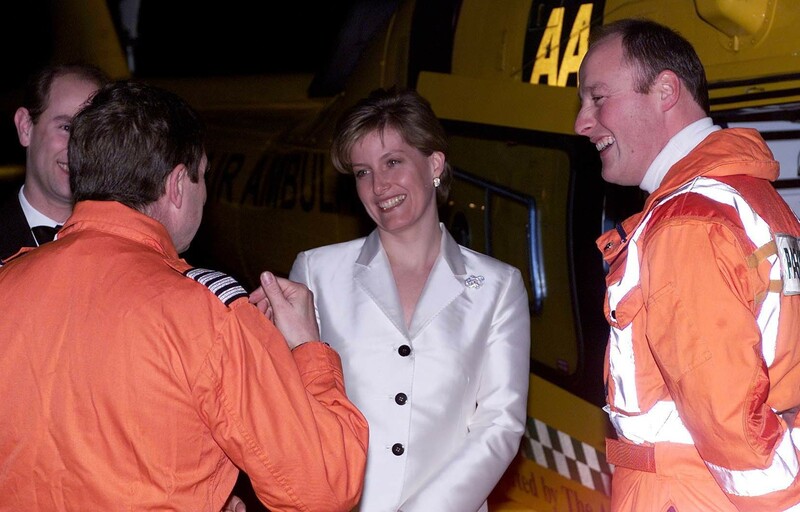 Her Royal Highness has been pleased to support the charity for many years, having personally experienced the vital care of the Air Ambulance emergency service in 2001. Last November The Countess officially opened the emergency medical care provider’s new headquarters in Stokenchurch, Buckinghamshire, where she toured the new facility and found out more about the service’s expansion across the region. Read more about the visit here. In 2015, Her Royal Highness also opened the Air Ambulance’s upgraded operational base at RAF Benson. The charity delivers critical care to people in a medical emergency day and night, 365 days a year. Its highly trained teams of paramedics, doctors and pilots work together to bring the expertise, equipment and treatment of the hospital to patients in need.